Rosanne Barr had a lot to say on Thursday's episode of Fox News' Hannity. 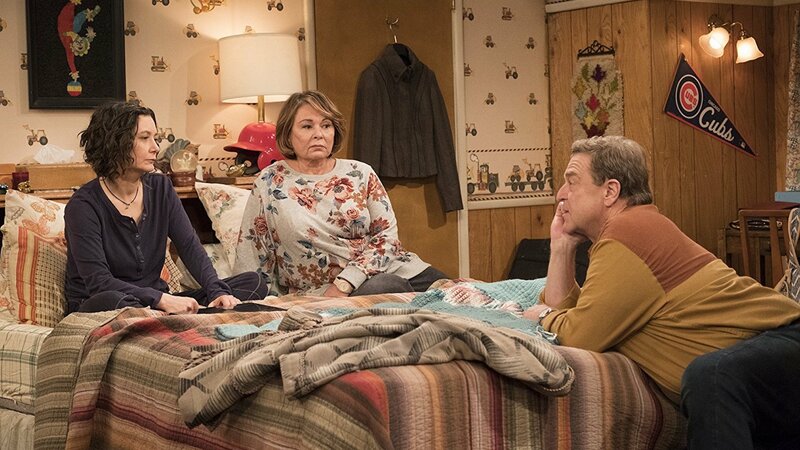 While the bulk of the interview dealt with the now-infamous racist tweet that wound up getting her fired from Roseanne, Barr also spoke about the upcoming spinoff series, The Conners, and how she really felt about the show's chances of succeeding without her in the mix. According to TV Line, Barr put it rather bluntly: "[ABC] should be so lucky that they’ll ever get anywhere near" the ratings Roseanne had. Barr went on to attribute the Roseanne revival's success to the fact that audiences "wanted to see something balanced… every other show is 24/7 hating on [President] Trump — I call it ‘hate-riotism’ — but that’s not going to help nothing. People want to hear balance, they want to hear the truth." As for the tweet about former Obama adviser Valerie Jarrett — the one in which she referred to Jarrett as “muslim brotherhood” meets “planet of the apes” — Barr insisted it was "a political tweet" and not a racial one. “I told ABC this at the beginning: I will always defend Israel,” said Barr, who is Jewish. “So that is a tweet about asking for accountability from the previous administration about the Iran deal,” which Jarrett was involved in. The Conners will premiere on ABC on Tuesday, Oct. 16 at 8/7c.